This is easily one of my favourite crowd-funded projects I’ve ever had the privilege of being able to support. Have you ever been accused of playing your [race/gender/other form of oppression] card? 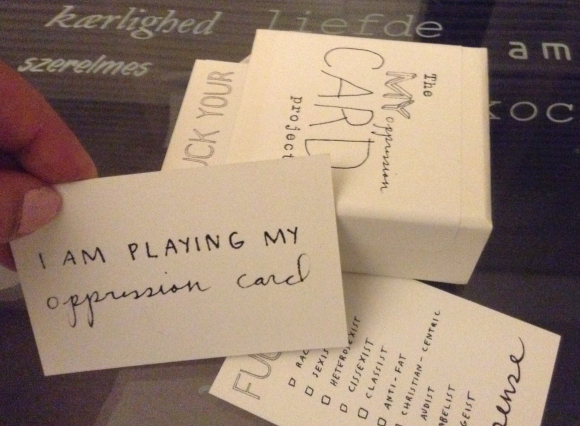 Now, the next time someone treats you to some unrelentingly microaggressive behaviour, you can whip out your real life, actual oppression card and use it to help communicate your feelings about your most aggravating -isms! 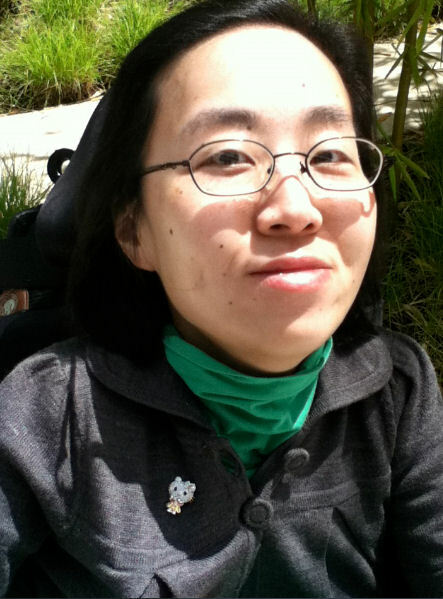 Alice Wong is a member of the Asian American disability rights advocacy community. To learn more about this community, check out my interview yesterday with Jean Lin of Asians & Pacific Islanders with Disabilities Coalition. How do you see yourself as Disabled and Proud? I see myself as a proud disabled Asian-American woman. Note, I added the word ‘proud’ because I believe that there are many people who may have a disability (invisible or visible) who do not claim this identity at all. Like the LGBTQ community and many other communities, being open about who you are sends a message that it’s not something to be embarrassed or ashamed about. Language matters. I used to use ‘person-first’ language when describing myself, (e.g., person with a disability), because it was a response to historic dehumanizing labels such as ‘the handicapped,’ ‘the disabled,’ and ‘the feeble-minded.’ There’s a growing usage of ‘disabled person’ by many people to indicate that one cannot separate one’s disability from one’s socio-cultural identity. It would be impossible to separate my race from my identity and shouldn’t it be the same for my disability?